Amazon Spark is a social content and product discovery experience designed to drive repeat customer engagement with Amazon. Content Ranking Engine (CRE) powers Spark to deliver personalized content that is timely, relevant and engaging. The vision of CRE is to be the Amazon wide Content Ranking Engine of Choice. 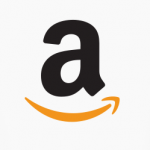 In this position, you will be responsible for building the machine learning models that power Amazon Spark. Come join us, in re-defining some of the core tenants of online shopping, at the earth’s most customer centric company! • Create and execute appropriate quality plans, project plans, test strategies and processes for development activities in concert with business and project management efforts. · MTech in CS or Math, Machine Learning, Operational research, Statistics or in a highly quantitative field. (PhD strongly preferred).